ALBANY – W. Michael Losinger, 72, died suddenly Wednesday, April 17, 2013, at home. Born in Elmira, NY, Mike was a graduate of Southside High School and then the University of Tulsa; he received a Masters in Divinity at Colgate Rochester Divinity School. Mike had a long and varied career: as Youth Director in the Episcopal Diocese of Rochester and later, Assistant to Bishop Robert Spears, Jr., as an administrator in City of Rochester government, as Monroe County Commissioner of Elections, as Deputy Director of the State Office of Business Permits, Executive Deputy Director at the State Board of Elections, and Deputy Commissioner for Operations of the Department of Motor Vehicles. In all his roles, his history was one of political activism and community organizing in the pursuit of justice. One of his proudest achievements was being among the first of those arrested in Rochester protesting the Vietnam War. Most meaningful to Mike was his founding and support of the Damien Centers in the Capital District, drop-in centers for persons living with AIDS, and his creation of the AIDS Care Team in conjunction with Eddy Visiting Nurse Association. Mike is survived by his spouse of 32 years, Robert Englert, and his sisters: Jo Ann Losinger of Pittsfield, MA, Sharon Thompson (Bruce) of Oklahoma, and Susan Odegard (Philip) of Vermont as well as a wide community of friends – an extended circle of family by love and choice. A memorial Eucharist of Thanksgiving celebrating Mike’s gifts to all of us will be held at St. Paul’s Episcopal Church, 21 Hackett Blvd, Albany on Saturday, April 27, 2013, at 1:30. Memorial contributions may be made to the Human Rights Campaign (1640 Rhode Island Ave. N.W., Washington, DC 20036-3278) or the Episcopal Diocese of Rochester (935 East Avenue, Rochester, NY 14607) or the LGBT Ministries of the Episcopal Dioceses of Nicaragua and El Salvador, in care of the Diocese of Maine (143 State Street, Portland, ME 04101). 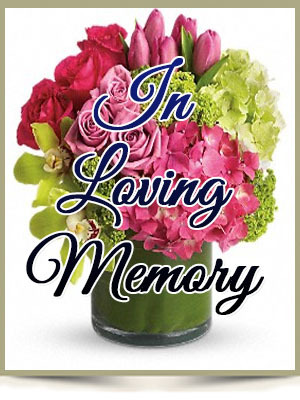 To leave a message of condolence for the family, send a sympathy card, or obtain directions to the church, please visit www.HansFuneralHome.com. I am deeply saddened by Mike’s passing. I keep you all in my thoughts and prayers. I was very fortunate to be part of the first AIDS Care Teams that Mike organized with the Eddy Visiting Nurse Association. in the mid-1990s His strong, caring and knowledgable leadership were critical to the success of that program. He was always able to combine an ability to organize people effectively with a strong sense of compassion for those needing that care. My thoughts and prayers are with you at this time of loss. I am so sorry to hear of Mike’s passing this morning. I only met him a few times, it was easy to see that he was a wonderful and caring person. My thoughts and payers are with you and the rest of the family in these difficult days. Knowing your fatih and Mike’s drive for justice I know that he is continuing his journey in spirit. We were so sad to learn of Mike’s passing. He had just sent me a birthday message on facebook the day before. He was my Deputy for Operations at the NYS Dept. of Motor Vehicles and made great contributions to the agency. We had a great time together. We’re holding you in our hearts, Bob, and send you sympathy. Please accept my deepest sympathies and condolences. While I only new Mike via the dry cleaners, I considered him a kindred spirit and a kind and wonderful man. I will miss him dearly. We were so sad to learn of Mike’s passing. He had just sent me a birthday message on Facebook the day before. He was my Deputy for Operations at the NYS Dept. of Motor Vehicles and made great contributions to the agency. And we’ll always remember the great parties at your beautiful home! We’re keeping you in our thoughts, Bob, and sending sympathy. He’ll not be forgotten. Bob, my thoughts and prayers are with you and Mike’s family and all his friends as we mourn his death. I wish I could be with you on Saturday but we are out of town next weekend. One of the high points of my ministry was to be able to participate in the celebration of your marriage. What a wonderful day that was and what a glorious outpouring of love and joy. The only words I know that are of any help at this moment are the words of Jesus “Blessed are they that mourn for they shall be comforted”. Mike was a good and courageous man and it was my priviledge to have known him. May God hold you tight in God’s love. We are so sorry and sad to hear of Mike’s passing. You two were always Bob and Mike, and it’s hard to imagine one of you without the other. You have been great neighbors, and we will miss seeing Mike. He will be in our minds each Spring when we get out there and plant some new flowers. Please accept our sincere sympathy and condolences during this difficult time. Bob, I am so sorry for your loss and the loss of your extended families (those of both blood and of choice). I’ve posted some extended thoughts on Facebook about Mike. But what I want to mention here is the beautiful and powerful example that the two of you gave me. I remember wonderful visits to your homes and especially to camp. The camp was always full of laughter, the wine was always flowing and the next euchre game was never far off. But the warmth of the summer sun was no match for your commitment to each other. I hold you and Mike’s memory very close to my heart. Bob, I am so sorry for your loss of Mike. Mike was a wonderful man. Our prayers and thoughts are with you and Mike’s family. My thoughts and prayers go out to you, Bob, and to all of Mike’s family. I was shocked and saddened to hear of Mike’s passing. I worked for Mike when he was deputy Director of Business Permits. Mike had a unique power of persuasion for getting others to help their fellow man. Because of his involvement and powers of persuasion my friend Barbara and I volounteered at the Damien Center for 2 years. It ended up being something that we got more out of than we gave. Mike knew that would be the case. Mike was among the most caring, thoughtful and fair people I have ever worked for. My thoughts and prayers are with you. I was so sorry to hear about (Uncle) Mike’s passing last week. He was a truly wonderful, giving human being, and the world needs more men like him. He was a part of our lives as my brothers and I grew up, and he will truly be missed. We called him Uncle Mike because he was like a brother to my Mom and Dad, who went to school with him. John (Allen) and I send thoughts and prayers to you and the rest of the family. Michael’s long service to the Episcopal Diocese of Rochester is a testament to his faith. May he rise in glory now. Our thoughts and our prayers are with you and the family. We are so sorry for your loss. Mike was a joy to know, and was always outgoing and enjoyed life to it’s fullest. We are very glad to have been able to spend time with you all at your great camp, especially with our Son in tow. Mike Losinger was a person dedicated to providing outstanding service to the public which he did while he served at the Board of Elections and the New York State Department of Vehicles. He did not just speak about justice, he acted to be sure that it became a reality. He worked diligently with Larry Kirwan to see that true public servants were elected to office. He cherished his friends and they cherished having him as a friend. I am honored to be included in that group. Bob, I was so sorry to hear that Mike had passed away. Although we lost touch over the years, I have very fond memories of our time together at the State Board of Elections. Mike was dedicated to trying to change the culture of that office, and it was my pleasure to help him in those efforts. My husband Scott and I extend our sincere condolences to you and to the rest of his family. I was so sorry to hear of Mike’s passing. I will always remember the wonderful memorial service he did for our dear friend Barbara Elston. He was a very special friend to Barbera. Now they will be sharing more wonderful times together. I always thought of Mike on my birthday as we were birthday twins. I know you will miss him terribly, as will all his friends and family. He was a special person. May God bring you peace in the days ahead as you remember the wonderful days you had together. Mike was a kind, gentle, warm, generous man. We have been lucky to know him and be a part of the good times. He is in our hearts and prayers. Bob, i’m sorry that you & Mike were so close to me. I live in Saugerties. Mike’s sister, Sharon, & I were friends in SHS. I remember Mike so well. My husband, Brian, & I were in Rochester. He was a musician & he went to Eastman. We bought our house in Saugerties in 1980. Brian died in 2006. I would love to see Sharon again. I’m am so sorry about Mike. My companion, Joe, lost his son, Michael, last year. Mike & his husband met at Cornell. Mike was a beautiful soul. I know you have wonderful memories & he is in your heart.